In 2015, and again in 2016, the World Economic Forum declared the water crisis to be the number one threat facing the world today. Despite this, most of us are completely unaware that the water crisis even exists. It’s time to wake up to the water crisis and to create the demand for a better future. Blue Media Lab believes the best way to do this is through powerful stories delivered across mass media. Blue Media Lab will surface the most effective narratives for telling this story and driving change. The purpose is to inspire and then activate large global audiences to the dangers of — and solutions for — the global water crisis. In December of 2014, The Nature Conservancy sent me to Tanzania on a fellowship to collaborate with Tanzania National Parks Authority and establish a business case for maximizing TANAPA’s use of existing GIS investments to minimize elephant ivory poaching. I applied my Swahili-language skills and knowledge of Tanzanian culture and customs to build productive relationships and define a theory of change in collaboration with TANAPA colleagues. Subsequently TNC and Esri implemented a pilot solution in Tarangire National Park that tested the capacity for managing ranger patrol data in near real time, centralizing data at TANAPA HQ, and then summarizing data via dashboards for park managers. 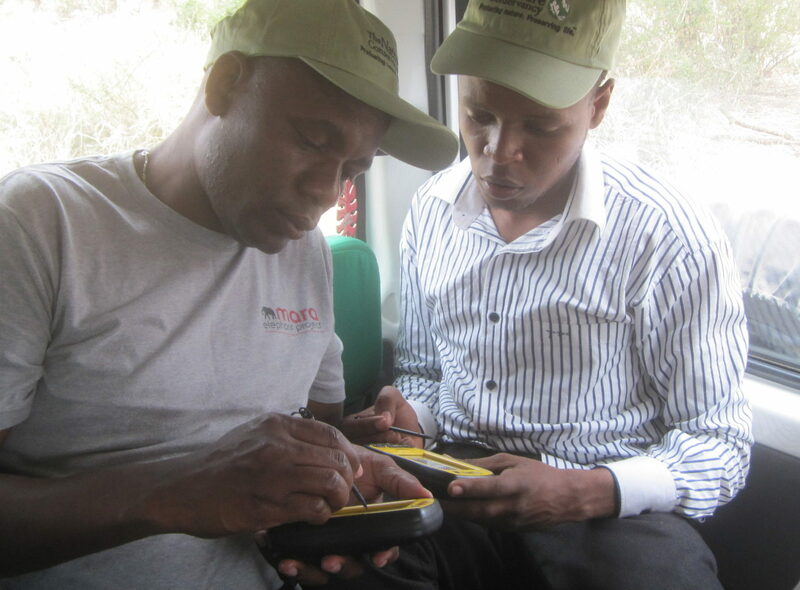 We also coordinated with Wildlife Conservation Society on plans for a nationwide rollout of SMART (Spatial Monitoring and Reporting Tool) across 16 national parks in Tanzania. Life cannot exist without water. But in many places water is in scarce supply. Or is too contaminated to use. Or is unpredictably abundant, eroding livelihoods and scouring landscapes through incomprehensible floods. We protect what we value. And though water is essential to survival, for most of us water lacks value; few know the source of their water beyond the tap. Source of You changes that. Source of you educates, inspires, and moves new audiences to understand where their water comes from through media, storytelling, and sharable content as a vital step toward valuing water and fresh water conservation. In 2012 The Nature Conservancy formed an experimental partnership with JPMorgan Chase & Co. through their Technology for Social Good program. This program partners JPMorgan Chase staff with non-profits using technology to explore innovative solutions to business challenges. 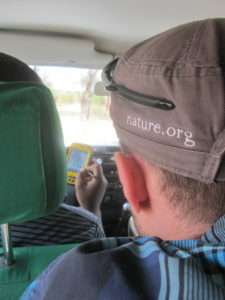 In this case, we partnered with them to explore innovative opportunities for leveraging technology to reconnect urban populations to nature. In November 2012 I joined a weekend-long Code for Good hackathon at the London JPMorgan Chase headquarters. Nearly 100 students from leading technical colleges around the U.K. competed on solutions that would broaden our constituency for conservation through technology. The winning solution used augmented reality and gamification concepts to enable stewardship and promote green living via mobile devices. We built on this concept by aligning with TNC’s Healthy Urban Trees initiative to prototype a tighter concept that focused on getting people out into nature within cities by encouraging them to run, walk, meditate, relax and connect with others. We relate to our world through stories, and storytelling is a powerful tool for communicating science in a relatable way that ultimately changes hearts and minds. As part of the Global Water Summit, The Nature Conservancy’s Global Water Team hosted a 1-day workshop called Passion and Purpose: Inspiring Change Through Media. We convened industry-leading minds and creative talent to show through concrete examples and lively discussions how to achieve organizational goals using storytelling and meaningful activations that lead to real change. Conservation Gateway is where The Nature Conservancy shares the best and most up-to-date information used to inform their work. As part of my MBA program through George Washington University, I competed a sustainable tourism consulting practicum in Puerto Plata, Dominican Republic. Our team collaborated with local business leaders in Dominican Republic to develop sustainable tourism products. We also presented our analysis and recommendations to local stakeholders and USAID staff.